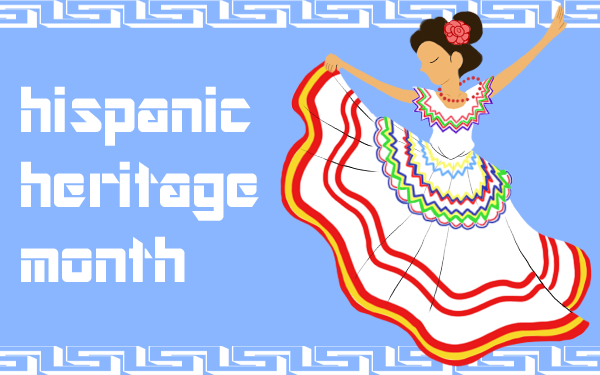 For this National Hispanic Heritage Month, we would like to recognize several notable Hispanic doctors, scientists and philanthropists who have made an impact in the field of medicine. In 1990, Dr. Antonia Novello made history being named as the first woman and the first of Hispanic descent to be named Surgeon General of the United States. Dr. Novello obtained her medical degree from the University of Puerto Rico and completed her training in nephrology at the University of Michigan. She was named as the first female Intern of the Year at UM. Novello began working with the National Institutes of Health during the late 1970s, and continued her education in the area of public health for John Hopkins. As Surgeon General, Dr. Novello focused on improving the health of women, children and minorities, and worked to stop the tobacco industry’s ad campaigns aimed at children. Born in Puerto Rico, Dr. Helen Rodriguez Trias moved to New York City and was a victim of bias during her early school years, being placed in classes for the academically handicapped. Years later, she graduated with the highest honors from the Universidad de Puerto Rico’s medical school. In Puerto Rico, Dr. Trias founded the island’s first center for newborns. In New York, she became Director of Pediatrics at Lincoln Hospital and later became the head of the New York City Department of Health and Mental Hygiene. Dr. Trias brought national attention to the plight of suffering that children and mothers experienced from HIV and AIDS. She was elected as the first Latina president of the American Public Health Association in 1993. Born in Spain, biochemist and molecular biologist Severo Ocho graduated from University of Madrid’s medical school in 1929 before going to Germany to conduct research for several years. Upon his return to Spain, he returned to his alma mater to teach. Ocho immigrated to the United States during the early 1940s and worked with researchers at Washington University before joining New York University as an instructor. In 1959, Ocho was awarded as a co-recipient of the Nobel Prize in Physiology or Medicine for his work on the discovery of an enzyme that allows for the synthesis of RNA. This discovery allowed scientists to study the cell process and better understand hereditary genes. Born in Argentina in 1887, Dr. Bernardo Alberto Houssay became a doctor at the age of 23. He founded the Institute of Physiology in 1919. His institute was closed in 1943, falling victim to retaliation of Juan Peron for his political beliefs. This did not stop Dr. Houssay from his research as he opened the Institute of Biology and Experimental Medicine in 1944. Dr. Houssay was awarded the Nobel Prize for Physiology or Medicine in 1947 for discovering the role that the anterior pituitary lobe hormone had in the metabolism of sugar. This discovery has led to advances in understanding diabetes. You may know this Mexican-American actress for her work on television, but what you may not know about is her philanthropic work. Longoria has worked with the nonprofit organization PADRES Contra El Cancer (Parents Against Cancer) to assist Latino children suffering from cancer and their families. She has also created Eva’s Heroes, a charity that helps developmentally disabled children.